CostCos and other Big Box retailers are everywhere, including those cool elite cities. Here's a bombshell: It turns out that consumers, no matter if they live in an urban, suburban or rural environment will look for the best deals possible anywhere and everywhere. I agree, and guess what, the same consumer reflexes emerge in European cities and suburbs to varying degrees. i would also like to toss the "Elitist" epithet in this context since it is totally senseless. I think that's a bit of a broad generalization. I agree that people will look and travel for what they perceive as the best deals... but people will also shop where it's most convenient for them, trading higher prices for funds spent on gas, lost time, stress, etc. I wouldn't jump in the car and drive out of my way and sit in traffic and search for parking in order to save a few bucks at a Costco or Walmart or wherever, when I can walk down the street, make my purchase, and be back home in a short amount of time. Now I certainly understand that this simply is not possible for many people based on their living situation (suburban/rural locations)... which kinda gets to the topic at hand (i.e., a suburban/rural land development scheme in densely-built urban areas). True, in urban cities, the "best deal" might be the one you can walk to quickly. My corner store does really well that way despite not having many products...in and out in three or four minutes, and a total of maybe 8-10 minutes including the trip there and back. I probably pay hundreds of dollars extra per year but big whoop compared to the time savings, and the costs avoided starting with car ownership. Every urban strip mall is a policy failure. The city is filled with hundreds, maybe even thousands, of cookie-cutter versions of this with arterial roads "lined" with chains of these strip centers. Forget downtown, forget the Riverwalk, forget those silly elitist notions of European central cities...this is the desolate urban environment that many, if not most, of our fellow citizens waste away in. Imagine this form of urbanity almost everywhere you go, in all directions for untold miles, as the development norm. Worse, we subsidized everything "built" here, continue to mindlessly subsidize it even as it fails, and we are unsustainably trapped throwing money into this suburban pit whose sprawling mouth engulfs 460 square miles. We've been had! You got it all sideways; it's the land of milk and money, the reason you have to build a moat. They've put a couple of new strip-malls in my county. They are designed to look nice, and don't resemble your run of the mill strip mall, but nevertheless, is not an efficient use of land. NJ still builds them, and depending where, they have a touch of upscale. Big box stores and strip malls are *not* synonyms. The merits of big box shopping are a completely separate issue from the suburban form of a strip mall. There are tons and tons of walkable urban format big boxes all over the US, and even more all over the rest of the world. Separate the question of "where you like to shop" from "is there a surface parking lot out front." BeyondDC: blog | twitter | flickr | instagram | Exploring urbanism and transportation in the Washington, DC area. True, consumers will choose to shop at a 'convenience' store over a super market and pay .29 cents more for gum or other random goods to avoid the check out lines and battle for parking spots. What was there before? An empty lot? Old strip mall retail? 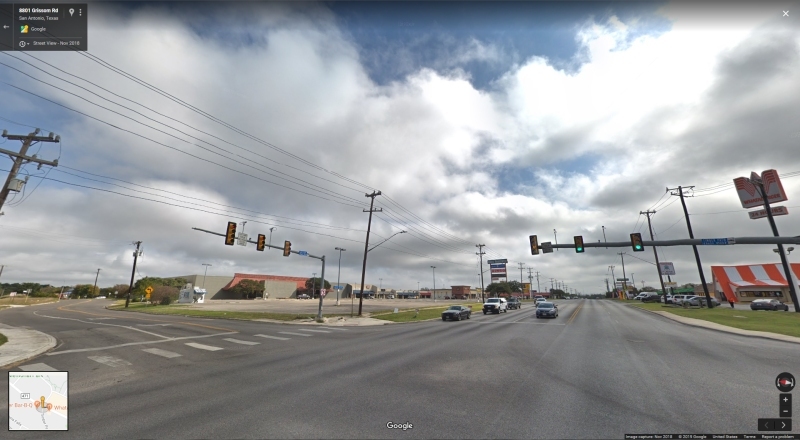 From Google Streetview it looks like that strip mall is struggling to find retailers. It has a Chipotle and a Mattress Firm and M.F. is bankrupt. That whole area on Broadway is odd -- dominated by strip malls all next to the El and close to the lake front. the strip malls around daytona, florida. it isnt that there are bad ones or that they are poorly designed or anything like that, at least any more than anywhere else, its just that there are so many of them bunched together and set back at all four intersections often times. its kind of a dystopian nightmare experience to me. There is a crop of old cranky farts living in that area who still live in the golden age of the car. They still want there to be plenty of parking everywhere. Once they all die off, I think we will start to see some of these strip malls get redeveloped into something more appropriate for the site. Yup, and you're probably being too fair to the "convenience" stores by citing only a 29 cent up-charge. I can't believe the prices some people will pay for convenience (aka, borderline robbery). I forgot you can go back in time with Google Streetview. It was a vacant lot used for parking. So, this is progress. A vacant lot was replaced with a strip mall with limited parking. Much improved. Now, of course it could have been replaced with condos above ground floor retail, or below grade parking, but it wasn't. E] There were also some run down blighted buildings that were demo'd and replaced with a new brick structure to house a PetSmart. --This also has a commuter rail station and a red line subway station. It looks like they've started to redevelop some of the older strip mall retailers on the Southside of the complex, however, most of it remains exactly how it was since the 1990s. I think you need to get out of NYC more. 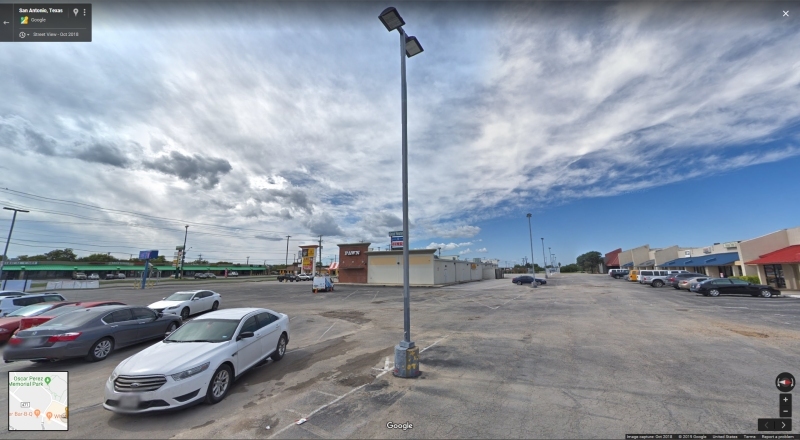 What you say is true--that is, the strip malls exist--but the number and arrangement of them isn't in any way unusual for smaller American sunbelt cities. It's pretty much the way things are all over Florida and the newer parts of the Sunbelt. Did you just go on vacation to Daytona or something? Otherwise, why single out them? I also think that strip malls, in spite of being the thread topic, are not the only culprit in the aesthetic faux-pas category of urban design. The Chicago examples with parking in lots in the foreground are not worse looking than the many car dealerships on major streets in North American cities and burbs. All the post war auto-related businesses, drive-in teller banks and standalone fastfood joints have deconstructed the city. If you look at Detroit's trajectory in urban planning or lack thereof, there are many examples of an early directive towards gaptoothedness at street level. There are tons of buildings with vast blindwalls and open stretches between buildings at an early stage of the automotive age. not if they have to drive 20 minutes, fight traffic, walk through a giant parking lot, in an unpleasant environment. faced with this "choice", most will just order delivery from amazon (I certainly do). maybe if retailers made the shopping experience more pleasant for consumers ,retail wouldn't be dying in this country. There's a lot worse than that, even if you ticked off everything on your list of First World problems. There are Costcos in England too, by the way. Right? I appreciate the efforts of urban design but the older I get the dumber some of these arguments sound. Sorry but convenience still needs to be a huge factor in urbanism.